I'm very excited to be one of the last stops of the Jersey Love pattern tour by Fishsticks Designs. The tour is sponsored by Riley Blake Designs and I was fortunate enough to be able to choose some fabric from their Knit Basics line. This was like, VERY exciting for me! 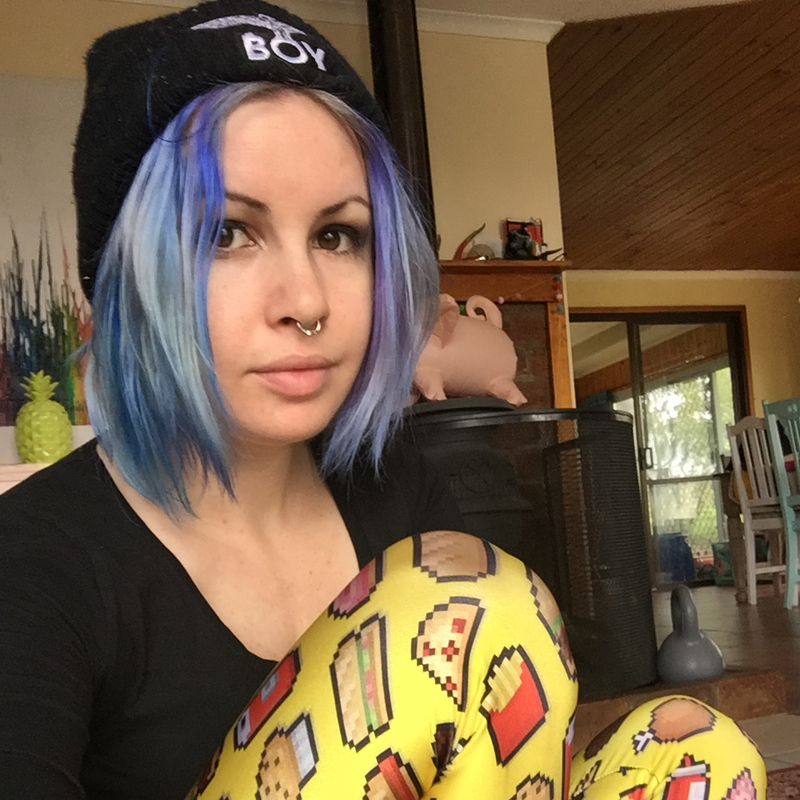 Being in Australia I miss out on a lot of opportunities like this (most of my Project Run & Play winnings were taken up with the cost of shipping the goods to me!) but when I asked Bonnie if they would ship to me so I could participate in the tour, she found out that they would! And they did! Thanks Riley Blake! 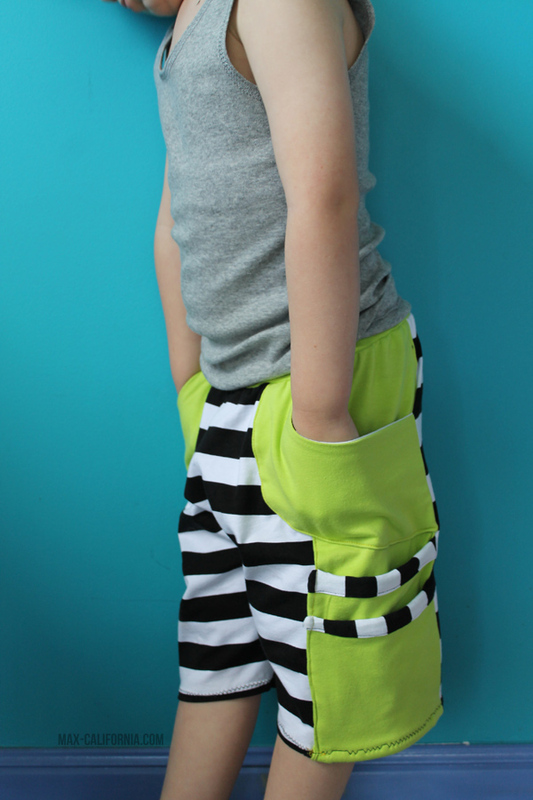 I chose the Runaround Pants pattern, as I know I can't go wrong making shorts for Vincent. 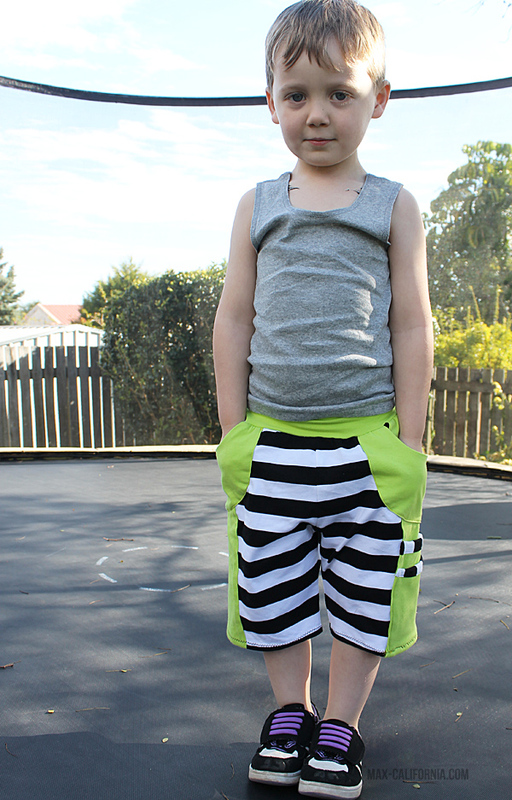 He's obsessed with shorts, and the fabrics I chose were a solid lime green and black & white stripes. There's something about that combination that is just doing it for me, and I predict lots more items with those colours to be made soon! 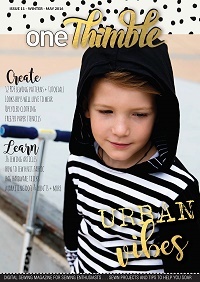 The patterns in this Jersey Love collection all focus on quick and easy sewing, no hemming and letting the natural curl of the fabric be the feature! Now this is very cool, but I wanted a more 'finished' look for my shorts. And in doing so I made a WHOLE lot more work for myself and broke a needle HOWEVER I really like the end result. Instead of leaving the ends raw, I tucked everything in and made some binding for the side pockets (because I'm a sewing rebel like that you guys!). I put side pockets on only one leg, and that hem is quite thick with all the layers (and I was working with a blunt ballpoint needle also!) but my machine soldiered on. If you made these shorts/pants up as instructed, you would definitely not have this problem, it would be literally half the bulk at the bottom of the shorts because there is no need to fold them under and hem. If you look at the hem on this picture, you can see the parts where my machine was totally freaking out over the bulk lol! I LOVED working with this fabric, so soft and stretchy and forgiving! 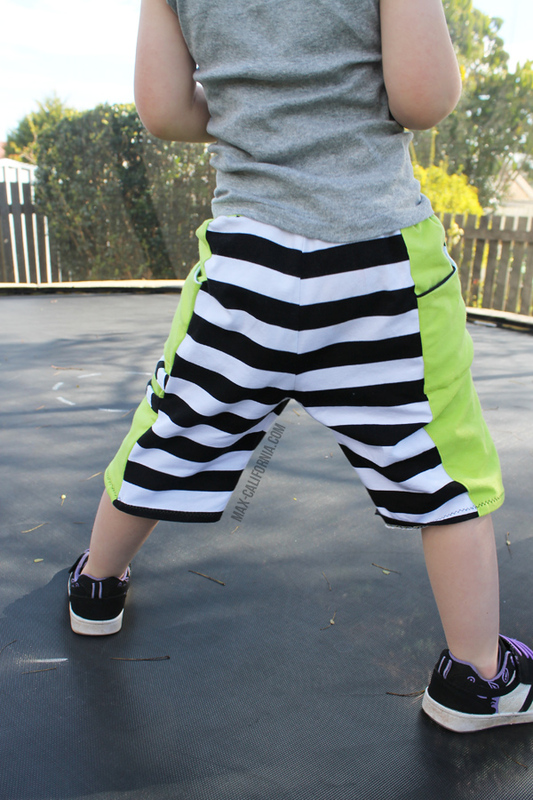 I would 100% buy this fabric for future sewing projects and after making up these shorts and seeing them on Vincent I would 100% make these shorts again. The length is not a usual length I would make for him, but when he put them on I just died a little. He looked SO CUTE. Vincent LOVES his shorts. 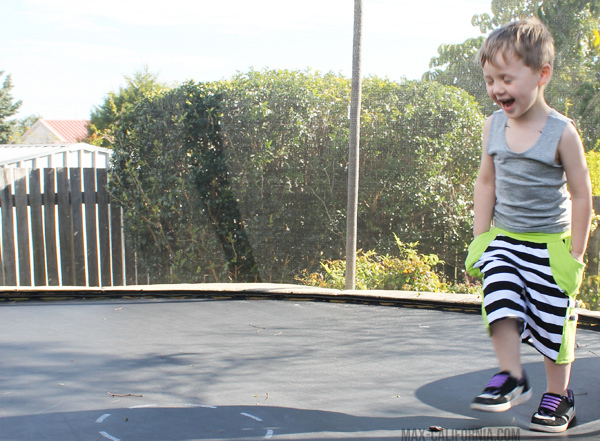 He came home from kindy and stripped down right away, grabbing them off the couch and proceeded to prance around the back yard on the first sunny warm day we have had here in AGES. I grabbed my camera quickly and BEGGED him if I could take some photos of him in his new shorts before he got dirt all over them. I have discovered very quickly that I need to take photos of items for the blog before they are worn to death. 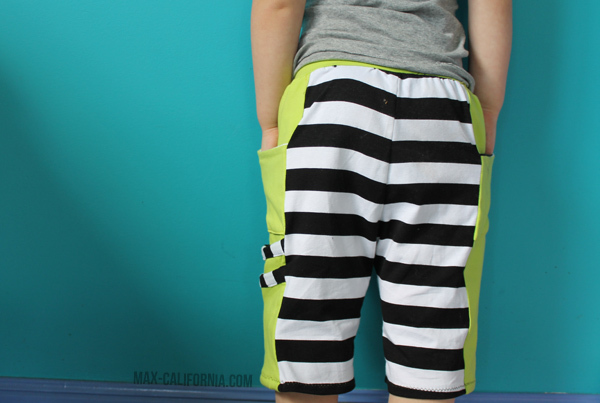 I have already added a few more pairs of these shorts for Vincent to my sewing queue so expect to see this pattern up on the blog again! 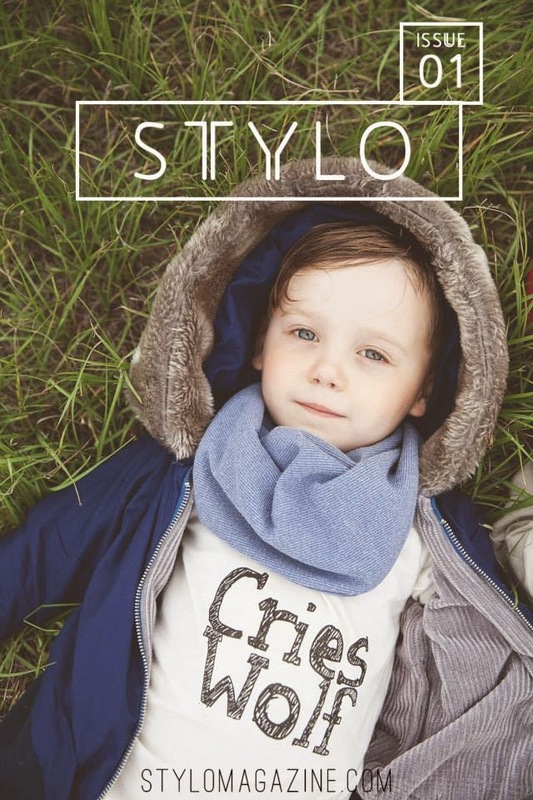 There is so much room for customisation with the pocket combinations, and a multitude of fabrics (you could even use just one fabric colour the whole way through if you wanted to). OH! Piping! You could do piping on all the pockets, or some of them. Must try that! 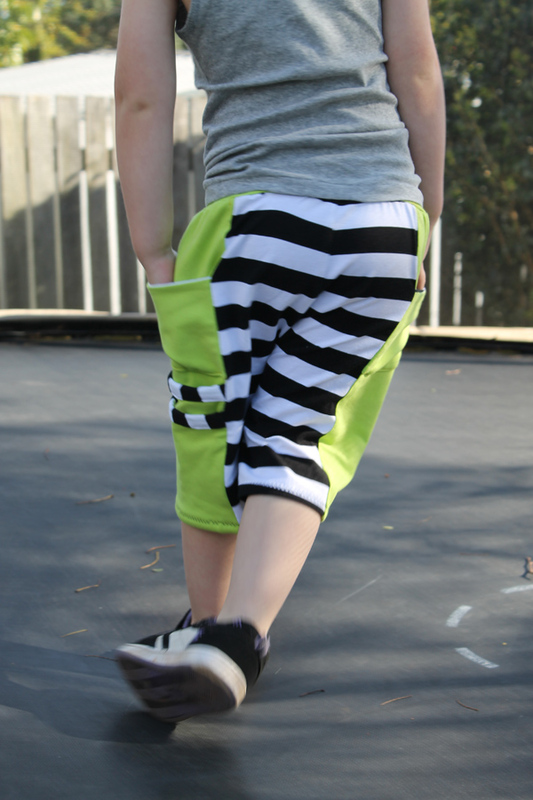 The waistband is super soft, just a rectangle with no elastic in it. They seriously look and feel like the comfiest shorts ever. 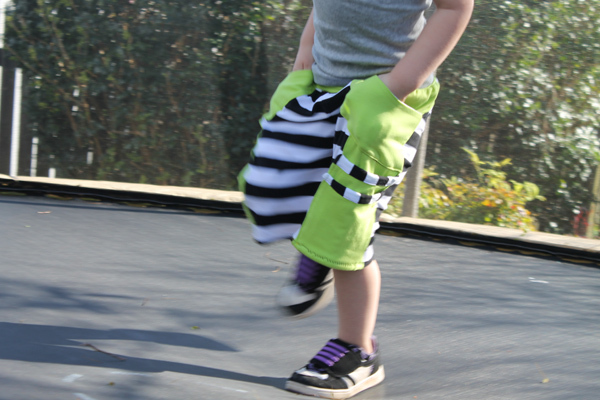 The sizes are from 12months to a size 8 - you can bet Edison will be getting a pair of these pants quick smart too! 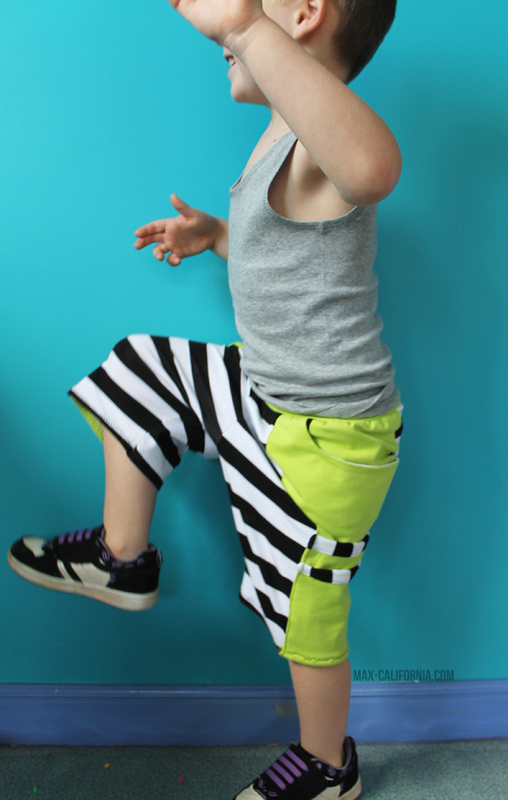 Check out my previous co-tourees and buy your Runaround Pants pattern here! 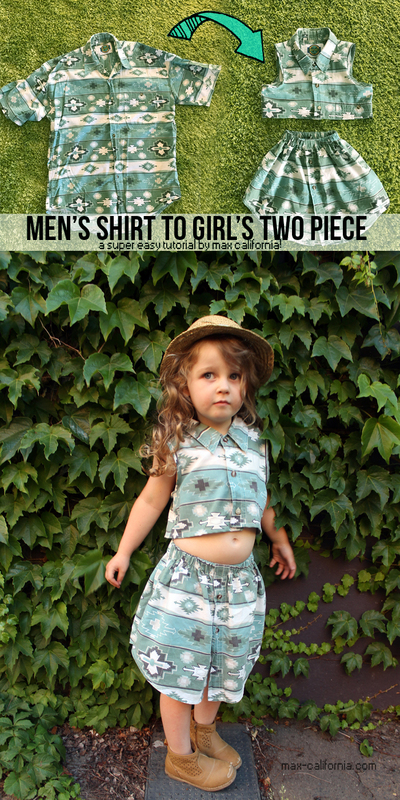 Don't forget to head over to my girl Shannon from Little Kids Grow (we played PR&P together!) to see what she made up for the tour!